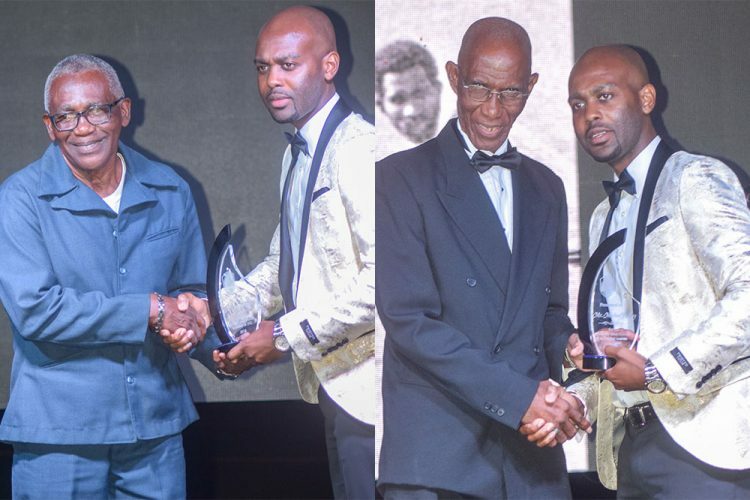 Two persons who have contributed to cricket development in SVG in different spheres were last Saturday night acknowledged by the St Vincent and the Grenadines Cricket Association Inc at its annual awards and gala dinner at the Arnos Vale Playing Field. The two honourees were Clarence Paddy Thomas and Thaddeus Michael Findlay. Thomas’ input has been in youth cricket development. Known as the ‘Godfather of youth cricket”, Thomas was instrumental in the creation of the zonal Under-15 competition. Thomas has also served at the Under-19 level. Additionally, he has been a national selector and had lent his expertise on the executive of the SVGCA. In the case of Findlay, his input has been mainly on the field. A former SVG, Windward Islands, Combined Islands and West Indies wicketkeeper/batsman, Findlay was rated among the best in his hey day. Findlay represented the West Indies in ten test matches between 1969 and 1973. He had tours to England, New Zealand and Australia during that period. The former wicket-keeper/batsman served as a West Indies selector and team manager. Locally, Findlay was a member of the SVGCA executive and is currently a life member of that organization. Still involved in sports, Findlay, who also represented SVG as a goalkeeper in football, is a sportscaster and cricket commentator. Last Saturday’s ceremony was held under the theme: “Cricket – The Social and Economic Impact on our Region”.